Kasa is a tight end. He has been out of football since the spring. He got a phone call while sitting in the stands watching the Broncos beat New England in the AFC title game Jan. 24. He dropped his phone and cracked the screen. That's another story. But, when he finally restored his service, he learned the Broncos wanted to sign him to their practice squad. They wanted Kasa to help them get ready for the Super Bowl against the Carolina Panthers. "It's been pretty crazy. Kind of indescribable," said Kasa. "These guys have been working hard toward this for a long time. For me to come in at the end here is just kind of an out-of-the-ordinary event. I'm honored to be here. And ready to do whatever I can to help." That includes playing the part of Panthers tight end Greg Olsen in practice. Kasa has been studying film of the Pro Bowl tight end. He wants to give Denver's top-ranked defense an accurate portrayal. "My role is to be the best Greg Olsen that I can," said Kasa. He went to high school in Broomfield, Colorado. 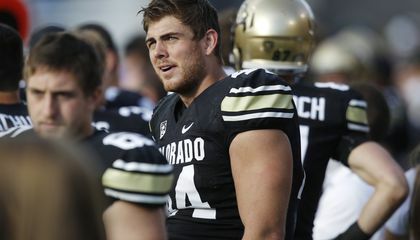 Then he played at the University of Colorado. "I didn't see this coming. I thought the season was drawing to an end. I was ready to move on to the next year. Surprised me with this call. I'm ready to go." Kasa was drafted in the sixth round by the Oakland Raiders in 2013. He played in all 16 games his rookie season. The only catch of his career was in the final week of that season. 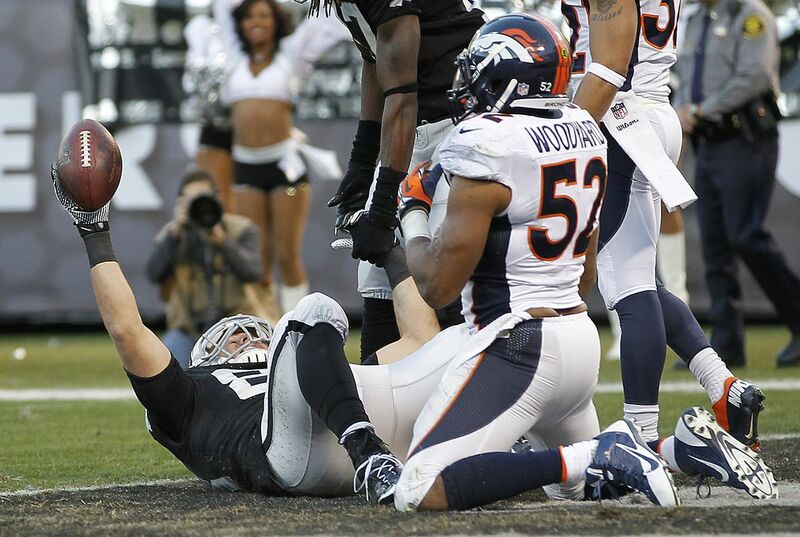 He hauled in a 9-yard touchdown pass against, fittingly enough, the Broncos. He missed 2014 after being placed on injured reserve with a torn ligament in his knee. Last spring, the Raiders let him go. He's been looking for an NFL job ever since. Nick Kasa meant that he want to be good like Greg Olsen. He says that to prove to himself that he is worthy. It means that its his roll wich means its his turn and he wants to do the best he can to do it. So he doesn't mess up for the whole team. Probley because he thinks he can try to be the best he can at times. He want to be a great football player like this man named Greg Olson. Nick Kasa meant by this is so when he practices with them that he will do good and try to make them win. What he meant by that was he wanted to be Greg Olsen because was a over all good tight end in the pro bowl. So that was his goal to be like that.